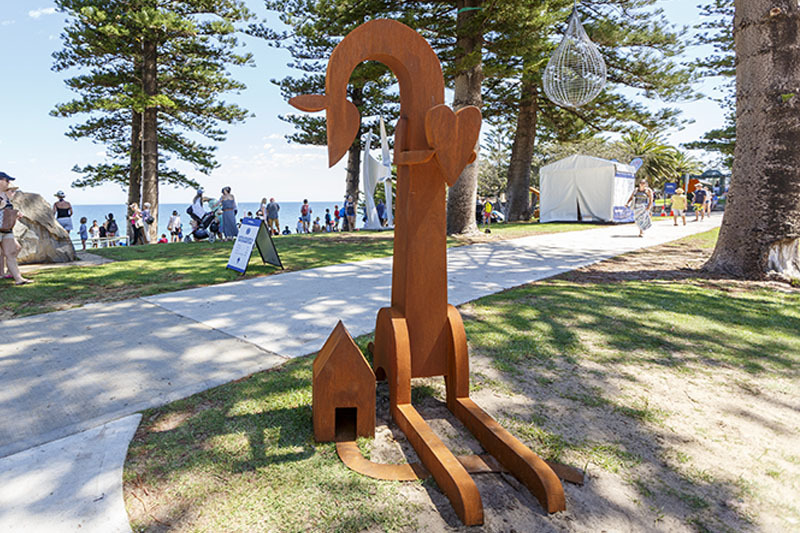 We are pleased to announce the recent installation of a beautiful corten steel sculpture by NSW artist Jimmy Rix, entitled Home is Where the Heart Is, acquired by the Town of Cottesloe from Sculpture by the Sea, Cottesloe 2017. This touching work depicting a kangaroo longingly looking over its shoulder, contemplating a return home, can now be viewed on the median strip in Forrest Street, Cottesloe (between Railway Street and Stirling Highway). The Town of Cottesloe has now acquired 15 sculptures from previous Sculpture by the Sea exhibitions and this evolving and impressive collection is on permanent public display for all to enjoy.